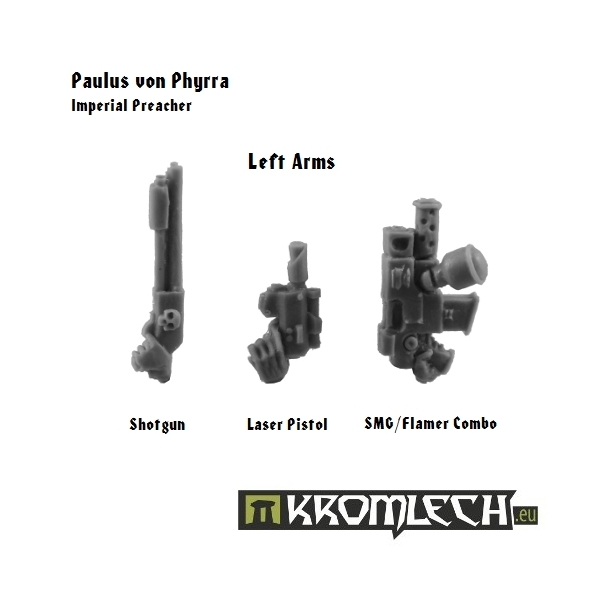 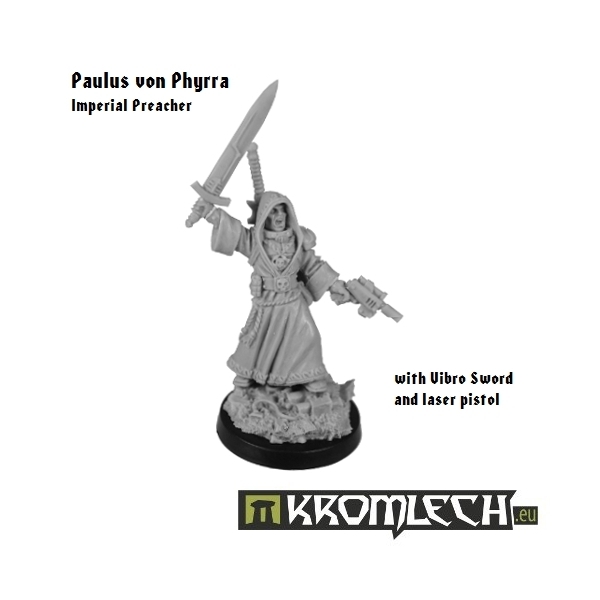 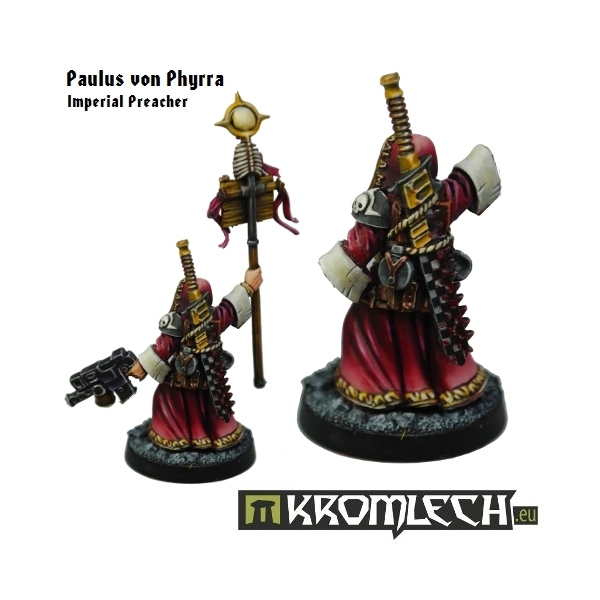 This set contains one Imperial Preacher with various weapon options. 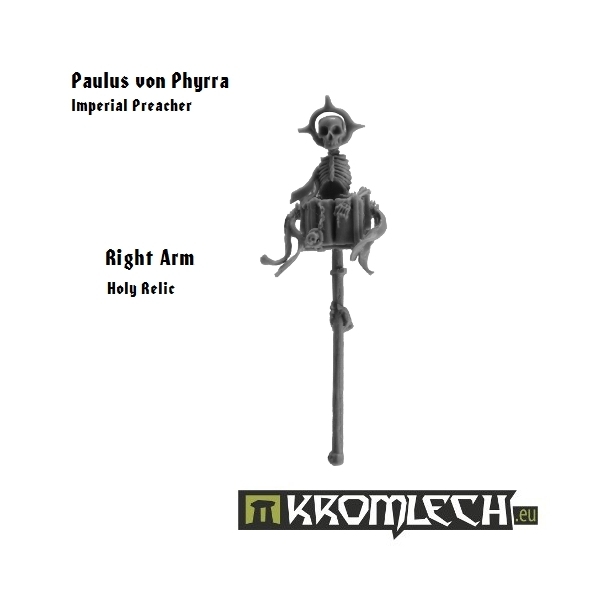 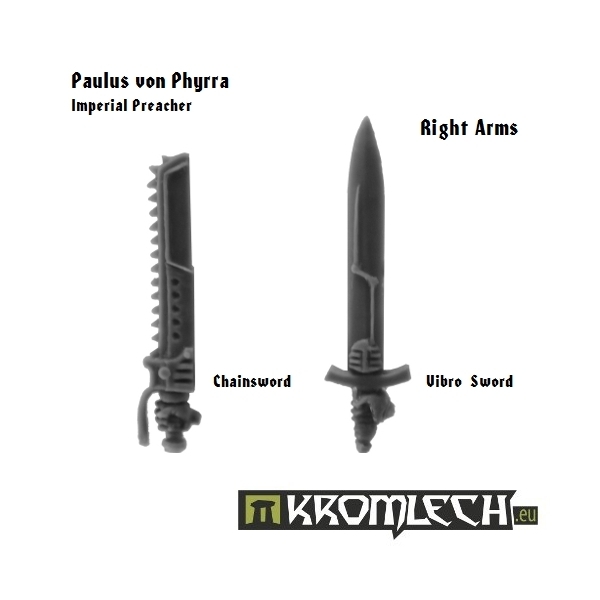 You get one body, one backpack with massive two-handed chainsword, three left arm options (shotgun, laser pistol and smg/flamer combo), three right arm options (chainsword, vibro sword and holy relic) and one plastic 25mm plastic base. 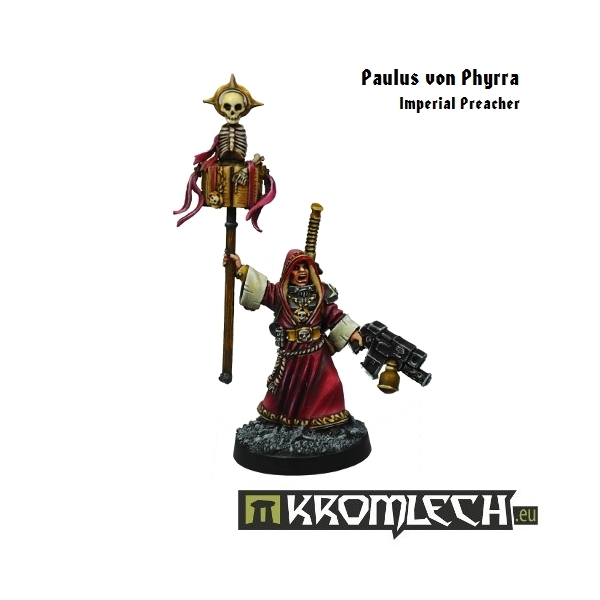 This Preacher is ideal candidate to spread imperial cult in your army!